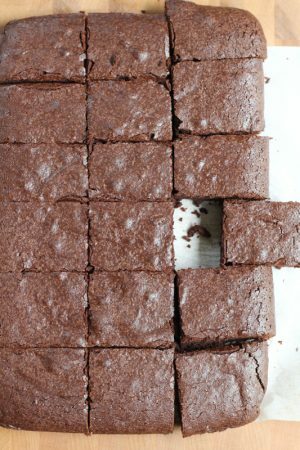 Spread the brownie mixture into your prepared baking pan and bake until set, for about 35 to 40 minutes. Cool before cutting with a sharp knife. Enjoy!